InFightStyle was founded in 2013 and is a global brand and distributor catering to the demands and needs of the MMA, Jiu-Jitsu and Muay Thai lovers around the world. They stock a wide range of products with a focus on beautiful design coupled with ultimate function. 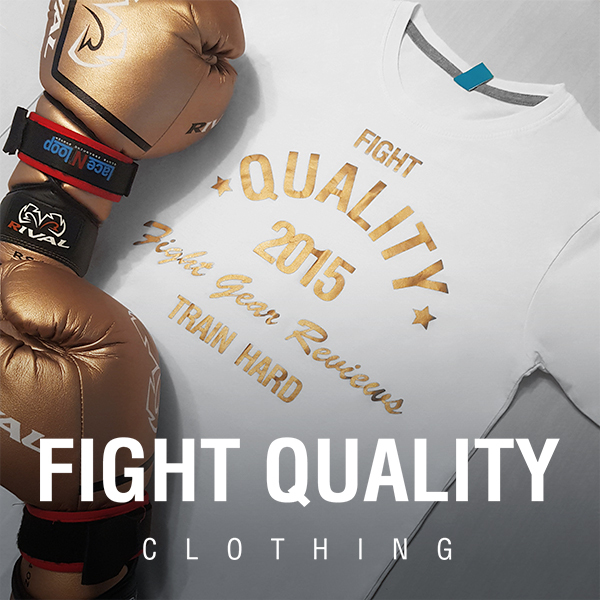 They sponsor several elite Muay Thai fighters including Ognjen Topic, Janet Todd and Matt Embree. InFightStyle sent us a pair of these shorts to try out and see what we think about them. We first saw these shorts in our March 2017 ‘New Fight Gear’ round-up. These shorts aren’t designed for one sport, but instead are intended to be usable for whatever you’re doing; kickboxing, MMA, Muay Thai, crossfit or even just as causal wear. The shorts feature a roughly 7″ inseam, so give you a fair bit of length. There’s a size guide available for the shorts here, although I found with my pair they come up a little big, so if you’re on the border line between two sizes, I’d personally suggest going with the smaller size. There are 3 different colour options to choose from: Black with grey striped highlights, grey with blue striped highlights, and red with black/white striped highlights. All 3 have slightly different appeals to them, but I particularly love the look of the black shorts, which would match well with almost anything. Other than the highlighted colour panels along the waistband and angled down the side of the legs, the shorts are fairly straight forward visually. There’s an InFightStyle logo on the waistband strap, as well as down the side of the left leg, as well as another visual with ‘FS’ proudly on the bottom of the left leg. I do like the black shorts the most overall, but also I love the way the ‘FS’ is picked out in white on the blue version of the shorts, because of the way it stands out. While all 3 of the current designs do look great, I can’t help but feel that InFightStyle could still go one better if they released a few more colour options. I imagine the shorts would look great in white, or even using some different bright colours. The shorts are made in china, made out of 100% polyester. There’s a slight 4-way flex to the material which helps with movement and prevents the shorts from feeling restrictive. There’s only the one layer of fabric with no inner lining, to keep the shorts lightweight and allows heat and moisture to pass through easily. All of the seams are stitched up securely, with three lines of stitching along the major seams, keeping it all together. The shorts are designed to fit well and stay in place once they’re on. As well as some natural elastication, there’s an inner lace which can be tied as tight as you need in order to keep things tight once the shorts are on and in place. As well as that, there’s a thin strip (just over half an inch wide) with a gel-like texture which grips to you and stays in place. On other shorts with this feature I’ve often found they only grip to skin and can slip around a bit with underwear underneath, however the InFightStyle shorts seem to grip fairly well on any surface. They also make use of non-abrasive plastic Velcro, with the front flap folding over so there’s nothing exposed. These shorts do a great job in most areas, and function well in terms of flexibility. The fabric has a fair bit of flex, but you don’t tend to feel the stretch at all, thanks to the 5″ split on the side of each leg, opening up the range of motion when stretching or throwing kicks. The material used wicks away moisture, which is always a well-needed feature on shorts – there’s nothing worse than having sweat-soaked shorts, especially if you plan on wearing them for long training sessions, or will get up close to people when grappling. Thankfully that’s not an issue with these. Another useful feature is the addition of a pocket on the inside of the waistband, which is intended for storing a mouthguard, giving you a clean place to keep it when you’re swapping between drills or between rounds and prevents it ending up on the floor during sessions. Personally I use it more as a perfect place to store my keys while I’m out for a run. Whatever you use it for, having the pocket available is super helpful. These shorts usually cost $55, which works out at about £42, which actually makes them cheaper than both the VIRUS Disaster Combat Shorts and the Bad Boy Legacy Evolve Shorts, which are the most similar shorts we’ve reviewed recently.